"Before takeoff, an employee from the airline came up to my row and asked the 2 men sitting next to me to get up," she wrote on a Facebook post that attracted thousands of shares. (NEW YORK) — Jordan Flake said she and her son had settled into her seat for an American Airlines flight to South Carolina last Thursday when an employee with the airline asked about her skin condition. “Before takeoff, an employee from the airline came up to my row and asked the 2 men sitting next to me to get up,” she wrote on a Facebook post that attracted thousands of shares. According to the Mayo Clinic, the condition causes dry, discolored skin and is not contagious. But despite apparently looking up the disorder on Google, Flake said, the employee pressed if she had a doctor’s note and left for a period of time. “He came back and said he apologized but we wouldn’t be able to fly and we had to get off the plane,” Flake wrote. The pilots, she said, did not have a problem with flying the mother and son, but a flight attendant insisted she needed a doctor’s note to fly. An American Airlines employee assisted the mother and son off the flight, booked her a hotel and arranged a new flight, but her bags had already been checked and were traveling to South Carolina where Flake had a child who needed care. “I had to make unexpected childcare arrangements for my daughter at home and I am having to get a ride to the store to get our lotions and some clothes for tomorrow,” she wrote. 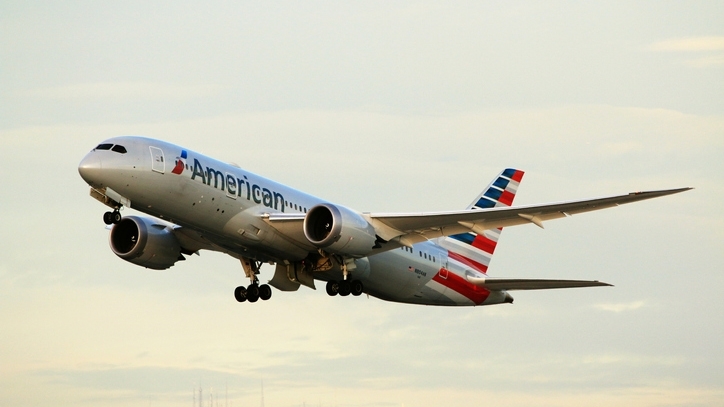 American Airlines apologized to the family while refunding their trip and upgraded their flights home to first class, in addition to offering compensation for future travel.